The state funeral of Sir Winston Churchill, last Prime Minister to have one as Lady Thatcher's was not one, officially. There are many clips of it available of YouTube. I chose this one because it has the moment that always brings a lump to my throat: the cranes of the East End docks bowing to the coffin as it is being taken down the Thames. The country was saying good bye to more than just one man and politician. Execution of Charles I outside Whitehall Palace. 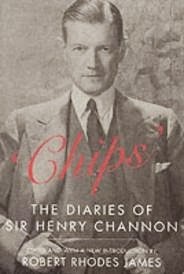 Having re-read Harold Nicolson's diary I turned to that kept by another MP, a Conservative one this time, "Chips" Channon and it is my intention to write a long blog that would compare the two. When I say I re-read Nicolson's I mean that I re-read the original three volumes (the middle one of which is now falling apart as I had acquired them all, as is my wont, in second hand bookshops). There is another edition, a one volume one, published almost forty years later that includes some early diaries, excludes some of Nigel Nicolson's comments and expands a few of the entries. This is now being studied by me in the British Library. In the meantime, let us consider Sir Henry Channon, "Chips" as he was known to all and sundry for reasons that seem lost in the mists of his early life. He was an American born but more British than the British Conservative politician, author of three books, an inveterate socializer and party giver who knew everybody in society, politics and the arts, a man obsessed with design and beauty and, above all, a diarist. Oh yes, he was also bi-sexual. He kept a diary, on and off, from 1918 until his death in 1958 and tried to deposit the manuscripts in the British Museum with the proviso that they should not even be looked at for fifty years according to the historian Sir Robert Rhodes James, who edited a selection of them in 1967, and for sixty years according to other sources though that seems to be merely an instruction left by his son Paul (a much more successful politician but less interesting person) in his will. The British Museum refused to keep them as it is not their policy to keep documents that they cannot even look at for a number of years so the diaries (or most of them and thereby hangs a tale) went back to Paul Channon who, together with Chips's close friend and companion, Peter Coats, decided to have an edited version published. George Weidenfeld, coincidentally or not the publisher of Harold Nicolson's diaries, advised them to ask the young historian Robert Rhodes James to edit it and so it happened. Rhodes James was an odd choice as he was not particularly sympathetic to Chips either personally or politically but he did seem to warm to the diarist as his work progressed. In any case, many of Rhodes James's own assumptions and prejudices date to the mid-sixties and have undergone some changes partly because of elapsing time and partly because of work done by historians on the period. After all, Rhodes James himself published a seminal book on Churchill, which went a long way towards altering perceptions and undermining the mythology that the man himself had so carefully created. Amusingly enough, Rhodes James's own political career was not dissimilar from Channon's though he does not seem to have known quite so much and so many people. He was a backbencher under a Prime Minister (Margaret Thatcher) with whom he was out of sympathy, became a PPS at the Foreign Office and after his retirement from the House (which Chips did not do) lobbied unsuccessfully for a peerage, ending up with a mere knighthood. It seems extraordinary to anyone who reads Chips's diaries that on publication they were dismissed as not much more than social gossip with some prurient hints of carefully excised passages and attacked bitterly by the author's enemies, one of whom was Randolph Churchill. The latter, something of a failure, who is brilliantly and not exactly flatteringly described by Chips at various times, wondered angrily why a young historian should jeopardize his career by editing this stuff. The young historian and, even more, the young politician, son of the diarist, wondered that, too, for a while. So damning were the reviews that serious historians did not bother to read the diaries. One such was A. J. P. Taylor. Years later, with nothing much else to do on a wet afternoon, he began to read them and was so rivetted that he finished them at one sitting. He then publicly applied the adjective "classic" to them, and wrote me a particularly warm letter of congratulations for my editing. Gradually, many more people came to share Alan Taylor's revised estimate that this was a social and political document of real importance as well as a compulsive read and enormous fun. there was a call for the complete diaries - which begin in early 1918 - to be published. These calls went unheeded. Instead, the ultra cautious Paul Channon laid down instructions that they should be kept out of the public eye for another ten years, a somewhat ridiculous idea as nobody mentioned in those pages could possibly be alive any more. Their descendants are but if we are to worry about their feelings, nothing much can be written or published in modern history apart from accounts of battles and lists of legislative proposals. The 1993 edition is a lazy one. It is nothing more than a reprint of the 1967 one with a short new Preface by Rhodes James, in which he gives an explanation for the break-down of Chips's marriage (his meeting with Peter Coats in 1939, who became his close companion till his death and his wife's subsequent affair with and post-divorce marriage to a Czech airman) and also an odd story about the last volumes of the diary. The 1967 edition ends with an entry in the autumn of 1953 and an editorial note that, although Chips went on with his life as before despite mounting health problems, he ended his diary then. This seemed inherently unlikely as he would have wanted to record the various political events of the mid-fifties, not to mention his own knighthood of 1957. And so it proved to be. In 1991 the last volumes of the diary that did carry on till almost Chips's death appeared in a car boot sale in Essex (would Chips have been amused?) and the purchaser, realizing their value and importance, sold them on to Paul Channon. The assumption is that these had been stolen from Peter Coats's suite in the Albany though why they were in his possession, what else had been stolen and why Mr Coats did not mention this fact to Robert Rhodes James in the mid-sixties remains unexplained. Despite the Preface, the original, as it turns out, erroneous last editorial note is still there in the 1993 edition. That is what I mean about it being lazy. It really is time for an adventurous publisher to think about publishing the diaries in full with good notes by a reliable editor who will not intrude his or her personality. Chips knew everyone, was present at many important events and wrote about them all. It may be that his own estimation of how important his various private conversations, intrigues and parties is completely wrong or, perhaps, he did play an important part behind the scenes, or, as is most likely, the truth lies somewhere between the two. In addition, his information about many supposedly secret events and developments was often completely accurate (much to his editor's surprise), his predictions frequently came true and his political understanding not to be dismissed lightly, as I hope to show in my long(er) blog about his and Harold Nicolson's diaries. Not by me as I did not know either of these two men each of whom, in his own way, contributed a great deal to Conservative politics. First, the colourful and highly opinionated Lord McAlpine of West Green, known for many things such as his euroscepticism and his exceedingly successful fundraising for Thatcher, his sociable habits and his art collection, his writing and, more recently, the new business of running a hotel in Italy. There was also the question of wrongful accusations of paedophilia in 2012 by someone who ought never have been taken seriously and the story of Sally Bercow making an idiot of herself, again. Here is a selection of articles and obituaries: Wikipedia's long biography, the BBC's reasonably fair obituary, a fascinating interview in the Guardian some years ago, a highly salacious piece in the Daily Wail that lip-smackingly brings up the accusations in great detail while piously informing us that Lord McAlpine got his apologies and damages even from the egregious Mrs Bercow, and, of course, the obituary in the Daily Telegraph. The BBC, as expected gave a fulsome obituary but even the Guardian said nice things as, naturally enough, did the Telegraph. An interesting aspect of Churchill's life is his relationship with various women, which is not as salacious as it sounds. The women range from his nurse, whom he loved dearly, his mother, whom he loved from a distance and who helped and supported him through various friends to the great love of his life, his wife Clementine. You can see a selection of letters to and from WSC and various women in his life as well as a few related items here at the Churchill Archives. In the Cabinet War Rooms there is a letter from Clementine to her husband in which she takes him to task for bullying his staff. She points out (from memory) that she is the only person who can mention this subject to him as all others are too terrified to do so. Clearly, many realized it and turned to Mrs Churchill for help. And what could be more conservative than a family business that has lasted for several centuries, in some cases from the sixteenth, seventeenth and early eighteenth. BBC 4 started a series on that very subject this evening (apologies for not notifying readers before). The programme was about Balson the Butcher in Bridport, Dorset, that has been in the same family since 1515. Further broadcasts of the programme are listed here. Next Wednesday's programme will be about Toye the Medal Maker, in existence probably since 1685, and there will be one more on January 29 but that is not listed yet. In the meantime, one can read an article on the subject of the oldest family businesses in the country and why they have survived here. I shall remember this every time I walk past Berry Bros & Rudd (1698) or James Lock & Co - Hatters (1676) but especially when I buy any produce by Aspall Cyder (1728). 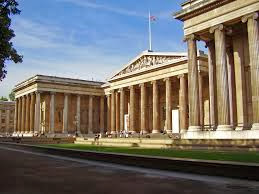 ... to one of the greatest cultural and educational institutions in the world, the British Museum. It opened its doors to the public on January 15, 1759 with exhibits that had come largely from the collection of Sir Hans Sloane. Since then it has grown and multiplied with new institutions, wonderful exhibitions and some very interesting (and some not so interesting) events. 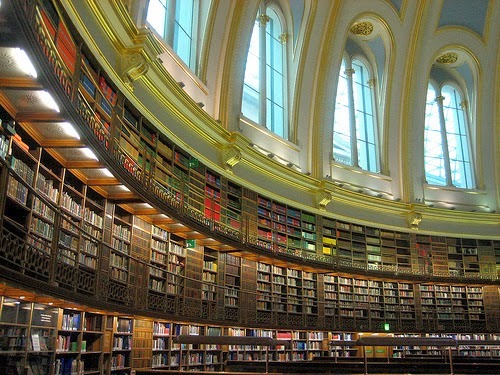 The biggest change came when the British Library broke off and started on an independent existence in St Pancras in 1997. Well, it had to happen but some of us still miss the Round Reading Room. That debate, as readers of this blog will realize, is about 1914 and all attendant circumstances. Who caused the catastrophe and why? Indeed, was it a catastrophe and if not why not? That sort of thing. Tory Historian's blog raised one or two important issues about the confusion in various aspects of the Great War debate and the need to look beyond the Western Front and its poetry. This is more of a contribution to the discussion about how and why the war could not be contained as another smallish Balkan spat and became the conflagration it did. In his book Diplomacy Harold Nicolson had a chapter on Types of European Diplomacy as he thought that too many diplomats but, more importantly, far too many politicians viewed representatives of other countries are being no different from the British of a certain class and background. This is not a matter of racism (of which Nicolson was definitely guilty though not much more than many of his contemporaries) just an admirable acceptance that countries are different, as are their cultures, history and politics; therefore their representatives will be different, too. Even now that is not all that clearly comprehended by politicians or commentators. It might be admitted, incidentally, that British statesmen are peculiarly prone to this illusion. They are so accustomed, in domestic controversies, to invoke the principle of fair dealing and to rely upon settlement by compromise, that they do not understand that such conceptions are not always present in the minds of foreign negotiators. 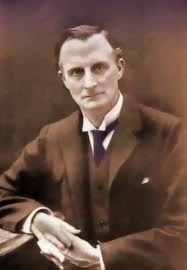 It was difficult, for instance for those who worked under Sir Edward Grey to convince him that the envoy of some Balkan country did not possess the same sort of traditions, intuitions and principles as he had inherited himself: he was inclined to regard them, if not perhaps as Old Wykehamists, then at least as Old Marlburians. If subsequent developments led him to revise this opinion, he would feel that that a gros dexeption had been practised upon him and would regard the foreign statesman who ahd failed to live up to Old Marlburian standards as a man of irredeemable iniquity. Needless to say, Grey was a Wykehamist himself but mutatis mutandis, that attitude still pervades our corridors of severely diminished power. Tory Historian was not going to comment on the row between Michael Gove, Secretary of State for Education, Tristram Hunt, his Shadow and the egregious Blackadder series but an article in yesterday's Evening Standard by Anthony Beevor seemed too good to ignore. Mr Beevor, who is known as an historian of the Second World War and its immediate aftermath, tells both Mr Gove and Mr Hunt that they are wrong (and sometimes right) about the reasons for Britain getting involved in the First World War and whether it was a good idea or not. On balance, he thinks, it was a good idea and Britain was right to do so but the object was not to protect freedom and democracy (a doubtful concept even at the time) but to prevent German hegemony of Europe. Then he moves on to the problem of people writing about the way the war or, to be quite precise, the war on the Western Front was conducted. It is at this point that the Blackadder problem raises its ugly head. The discussions on what is, after all, a comedy show about the reason for the war are rather simplistic and the image of how it was conducted is based on a series of myths first promulgated by middle-class writers and poets who had not, as a class, taken part in a war before and thus had no idea just how horrible it really was, then by historians like Alan Clark who has never been able to show where he got that quote about lions being led by donkeys and, finally, by various showbiz personalities. In the meantime, real historians have been doing a good deal of work on the subject but that did not always get through to popular consciousness, let alone the educational establishment. In the course of the article Mr Beevor also discusses the question of anti-militarism, its growth in reaction to the preceding "patriotism at all costs" ideas and, also, its anachronism. Much of the anti-militarism is a perfectly natural reaction against the earlier, collective versions of history depicting the story of country, army and regiment. In the past 20 years especially there has been a far greater emphasis on the individual. But at the same time there has also been a certain element of sentimentalisation, generalising tragedy from individual cases. The demands for a sweeping pardon for deserters overlooks the fact that a few were hardened criminals, not just sufferers from shellshock. Why the teaching profession in its majority has taken so strongly in recent decades against anything to do with the armed forces and service rendered to the country is a large subject and Mr Beevor barely touches on it. He is right to point out, however, that this attitude must not extend to distortion of facts as it too often does. I was appalled when I heard from a historian who is a First World War battlefield tour guide that he had heard a teacher tell her school group that officers stayed in their trenches and forced the men forward. As a recent article in the New Statesman acknowledged, young officers died at twice the rate of ordinary soldiers. Such deliberate distortions tend to underline the way that intellectual honesty is the first casualty of moral outrage. In this connection TH calls attention to a fascinating review by Charles Moore of a recent book by Anthony Seldon and David Walsh, Public Schools and the Great War, which gives figures of casualties and the rate at which young officers, most of whom were from public schools, were killed. Public schoolboys died at getting on for twice the average for all those who served — a rate of more than 18 per cent. One reason for this is that most were commissioned officers, and therefore led their men into battle, making themselves conspicuous. Another is that they were, generally, five inches taller than their working-class contemporaries in 1914, so they were easier for the Germans to hit. Facts and figures are always interesting in such emotionally charged discussions but are rarely produced. It is sad to think that teachers do not bother to do so either. School-leavers unfortunately will come away thinking the First World War consisted simply of “going over the top” on the Western Front to slaughter in no-man’s-land, when the conflict extended so much further, to the collapse of four empires and numerous civil wars. TH is already rather bored with the endless, mostly inadequate and politically charged articles, essays, speeches and general bilge that will pervade this centenary year. It would be good to to assume that at least one good thing will come out of it all: a realization that the war consisted of a good deal more than just the trenches on the Western front. So far, there seems little hope of that assumption being realized. .... well, not everything that is listed in this article by the BBC History Magazine. The hysteria around the centenary of the beginning of what was a disastrous war, followed by an even more disastrous peace, the effects of which are still tormenting us, has already been too much for me. The BBC's mega-event and the various official memorials do not fill me with joy. Even Nigel Jones's book, Peace and War - Britain in 1914 seems, at present, of moderate interest. Still there are other events and publications to come this year. Have they found the grave of Alfred the Great? What can be deduced from a Roman child's coffin? One or two interesting books are listed, particularly, God's Traitors by Jessie Childs, the story of a Catholic family in Elizabethan England and another book on Napoleon (I hope there is something new to be said about him) by Professor Michael Boers. But it's the exhibitions that one looks forward to. The Vikings in the British Museum, William Kent in the Victoria and Albert, the finding of Tutankhamun in the Ashmolean, the Ming dynasty in the National Museum of Scotland and, no doubt, a few more. Naturally, the Imperial War Museum will be doing us all proud with its First World War galleries. A very happy New Year from Tory Historian and a link to a fascinating article on Stratfor on the Gregorian Calendar, how it came about and why it ought to be reformed (at least, according to some people). Calendar reforms are never that popular and TH predicts that this will not happen, particularly as by now the Gregorian Calendar has spread through the world and is used practically everywhere even if there is another, parallel one for certain purposes. The Gregorian calendar, introduced by Pope Gregory XIII in 1582, was itself an attempt to address the problems of its predecessor, the Julian calendar, which had been introduced by Julius Caesar to abolish the use of the lunar year and eliminate a three-month gap that opened up between the civil and astronomical equinoxes. It subsequently spread throughout the Roman Empire (and beyond as Christianity spread) and influenced the design of calendars elsewhere. Though it deviates from the time it takes the earth to revolve around the sun by just 11 minutes (a remarkable astronomical feat for the time), the Julian system overly adjusted for the fractional difference in year length, slowly leading to a misalignment in the astronomical and calendar years. But what was perhaps most significant about Pope Gregory's system was not its changes, but rather its role in the onset of the globalized era. In centuries prior, countries around the world had used a disjointed array of uncoordinated calendars, each adopted for local purposes and based primarily on local geographical factors. The Mayan calendar would not be easily aligned with the Egyptian, Greek, Chinese or Julian calendars, and so forth. In addition to the pope's far-reaching influence, the adoption of the Gregorian system was facilitated by the emergence of a globalized system marked by exploration and the development of long-distance trade networks and interconnectors between regions beginning in the late 1400s. The pope's calendar was essentially the imposition of a true global interactive system and the acknowledgment of a new global reality. Most reform proposals have failed to supplant the Gregorian system not because they failed to improve upon the status quo altogether, but because they either do not preserve the Sabbath, they disrupt the seven-day week (only a five-day week would fit neatly into a 365-day calendar without necessitating leap weeks or years) or they stray from the seasonal cycle. And the possibilities of calendrical reform highlight the difficulty of worldwide cooperation in the modern international system. Global collaboration would indeed be critical, since reform in certain places but not in others would cause more chaos and inefficiency than already exist in the current system. A tightly coordinated, carefully managed transition period would be critical to avoid many of the issues that occurred when the Gregorian calendar was adopted. We shall, no doubt, hear about this again at the beginning of 2015.